Ensuring my clients receive goal driven solutions, aligned with their business or personal strategy, is my primary focus. 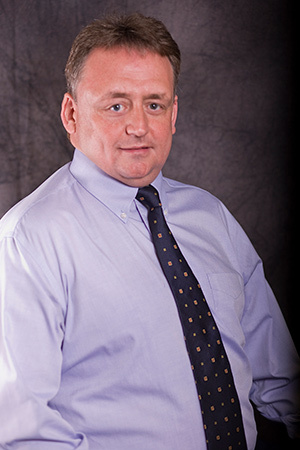 Joe joined Leone, McDonnell & Roberts, Professional Association in 2005. He currently works out of the firm’s Stratham, New Hampshire office, where he is responsible for managing client relationships and staff. Joe also oversees client development. In addition to his management duties, Joe provides a wide array of reliable, high quality services to his clients. He maintains particular specialization with financial planning, investments, retirement plans and insurance, as well as tax return preparation and planning for individuals, corporations, partnerships, trusts and estates, gift taxes, not-for-profits and retirement plans. Moreover, Joe has extensive experience representing both businesses and individuals during audits before the IRS and the State of New Hampshire. He works with a variety of clients including those in the manufacturing, construction, consulting, sales, wholesale and retail, country club, condo association and real estate industries. Joe began his career more than two decades ago, working for two small New York City CPA firms over the course of a six-year period. He then transitioned to a large firm, Grant Thornton LLP, where he performed audits of public and private companies that included filings with the SEC. In 1998, Joe joined H. Richard & Co., CPAs in New Hampshire, which merged with Leone, McDonnell & Roberts approximately six years later. Growing up, Joe always excelled in math and science and especially enjoyed complex problem solving. These skills and interests led him to focus on accounting and finance in college and pursue a career in the field. Today, Joe attributes his success to his friends, family and the numerous influential colleagues he has worked with over the years. He also credits his appreciation for life and not taking things for granted to his mother and brother, both of whom lost their battles with cancer. Joe was raised on Long Island, New York. He currently resides in Exeter, New Hampshire. Outside the office, Joe enjoys boating, playing golf and spending time with family and friends.